Home / Geen categorie / Scuba is live!!! Scuba – the board game is now live on Kickstarter! Put your diving gear on, jump off the boat, and have fun! Try to find as many types of fish as possible, make combinations of those, create a trail of dust so that your opponents can’t find fish there this turn. Be cautious of currents, find treasure or face misadventure. And at all times keep an eye on your air supply, because you don’t want to run out of that underwater… Scuba is a game for 2-4 players and lasts about 15 minutes per player. If it funds within one week, everyone will get a free promo pack with a new animal (backers decide which one)! 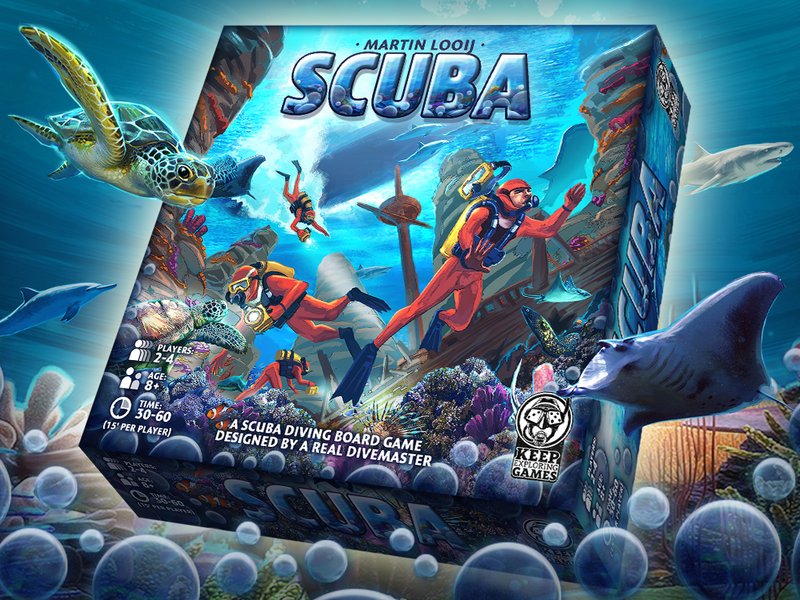 Please share this link or tag your board gaming / scuba diving friends in it!